← One degree from Jeopardy! I never read a cookbook cover to cover. My rationale with cookbooks is to flip through – pictures? Good. Lots of pictures? Great. A variety of recipes? Very good. Lots of caviar and truffles and other ingredients I couldn’t bring myself to buy even if I could afford them? No thanks. And then if I buy the book it will go on a shelf until I need a recipe from it; if I agree to review a book (as I did with this from Netgalley) I will page through it to form an intelligent opinion of the layout and the clarity, maybe make a couple of the dishes listed, and move on. But I opened The Unofficial Mad Men Cookbook, and started reading the forward, and just kept going. It was just that much fun. Each recipe is fronted by a short piece telling why it’s in there – like Betty Draper’s Around the World dinner, which prompted the inclusion of the gazpacho. There’s also a recipe for a roast chicken like the one Pete Campbell threw out the window. It was like watching a recap of the show from its beginning – did I already use “fun”? Well, and I’ll probably use it again. The simple fact that about the first thirty percent of the book is devoted to cocktails is brilliant. I tend to doubt I’ll ever be making any of them, but it was just … sorry, can’t help it, it was fun wandering through the stories of the authors’ search for a martini fit for Roger Sterling and just the right Old Fashioned to suit Don Draper. 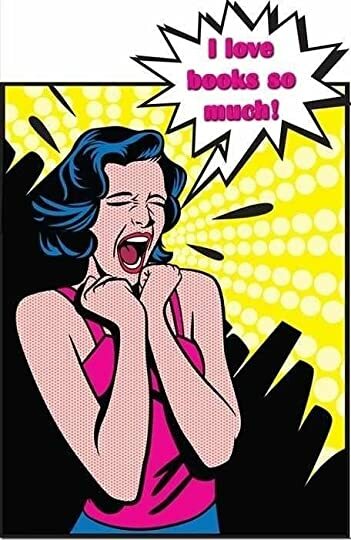 And thirty percent – that’s just about right. I also enjoy a book – cookbook or otherwise – with a sense of humor. That there is a wonderful sense of fun about this book should be obvious from that massive cocktail section, but it’s all through it. That birthday dinner Peggy’s boyfriend arranged for her, which she never made it to? There’s a recipe for what she might have been served – along with a lovely little synopsis of the restaurant where the boyfriend (et al) waited for her (and waited). And the warning not to wait dinner for Peggy, because she probably won’t show. This is a good cookbook: there are lots of fine recipes, some of which are – cleverly – given twice, once just as might have been served to the Sterling Cooper Draper Pryce folk in the 60’s and once as they would be served today. I can see myself cooking from this. But more – this is a good book. 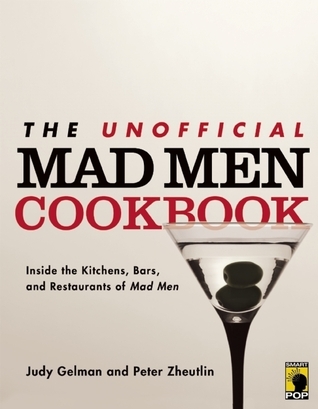 The people who put this together, Judy Gelman & Peter Zheutlin, know food, and they know Mad Men, and they love both – and those are (pardon the metaphor) ingredients for an entertaining, enjoyable (fun) book. This entry was posted in books, Cookbook, TV and tagged Judy Gelman, Mad Men, Peter Zheutlin, The Unofficial Mad Men Cookbook. Bookmark the permalink. I know a few people that would really love this cookbook. So glad you got it for review. I’ll bet the paperback is really nice. Though I do have to say the images showed up on the Kindle galley, for once. Oh, I would take the paperback book to Staples or a print shop and have it turned into a spiral bound book. I;m thinking of doing this with a couple of my knitting books once I get back on my feet again. Oo – good idea – much easier for a cookbook.